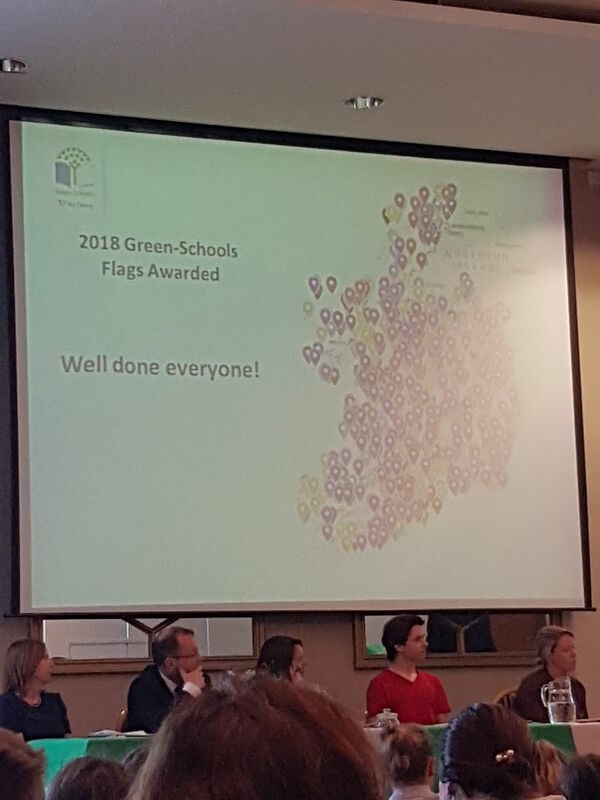 On Thursday 17th May, Amy 4th Class , Jack 3rd Class, Zoe 1st class and Paddy Senior Infants attended this year’s Green Schools Award Ceremony with Ms. Curran on behalf of our school. 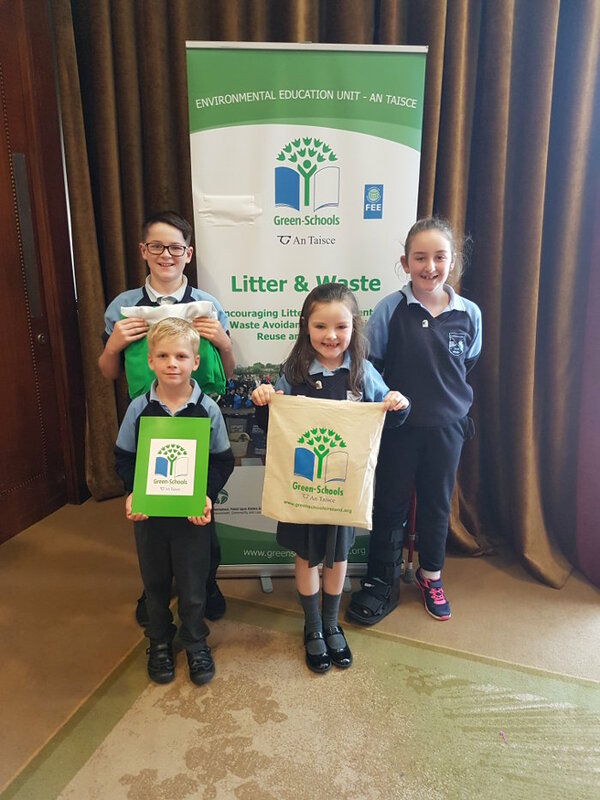 The ceremony was held in City North Hotel and schools from all over Meath & Cavan were invited to attend. 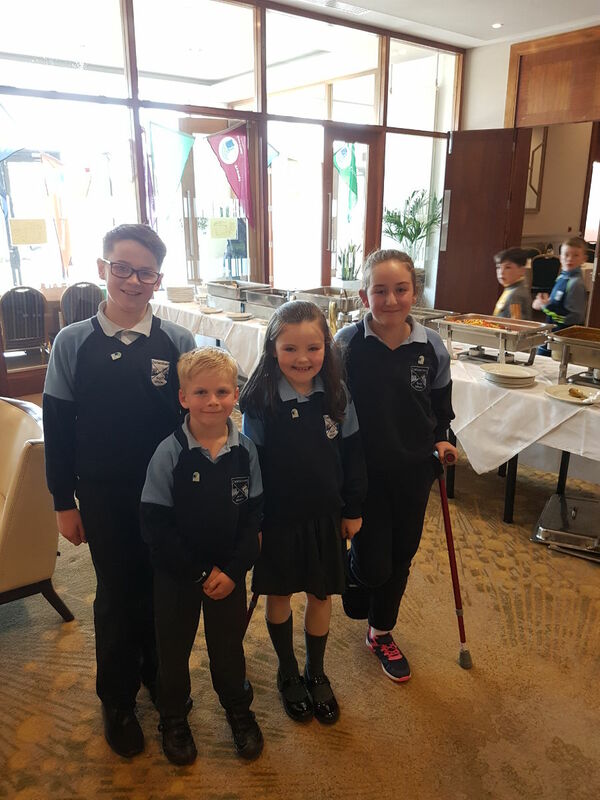 Before the ceremony we had a delicious lunch in the hotel. 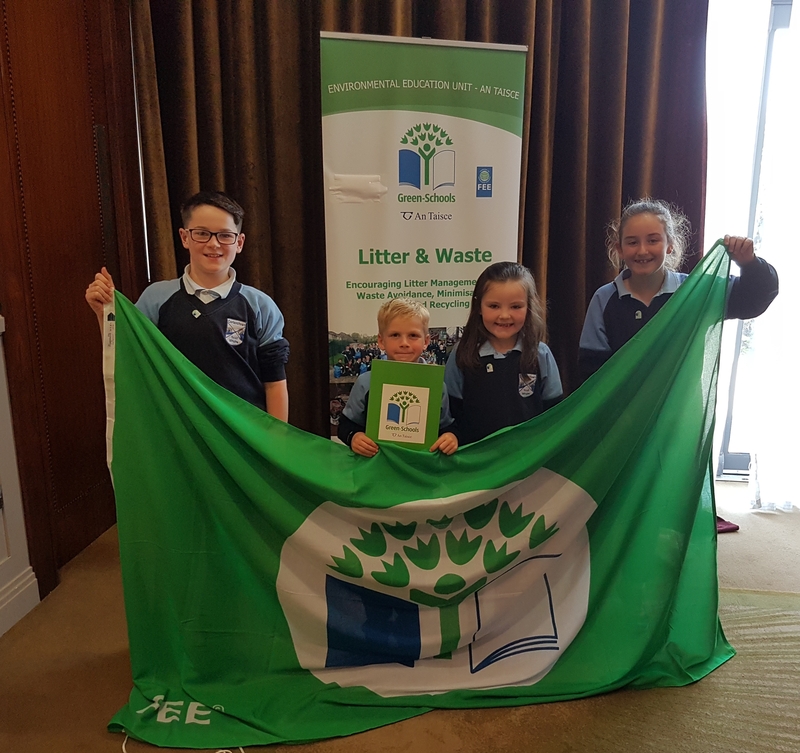 After two years of implementing the programme and reaching a high level of performance in complying with the 'Seven Green Schools Steps' on the first theme of the programme which is Litter & Waste, we were so proud to collect our first green flag. 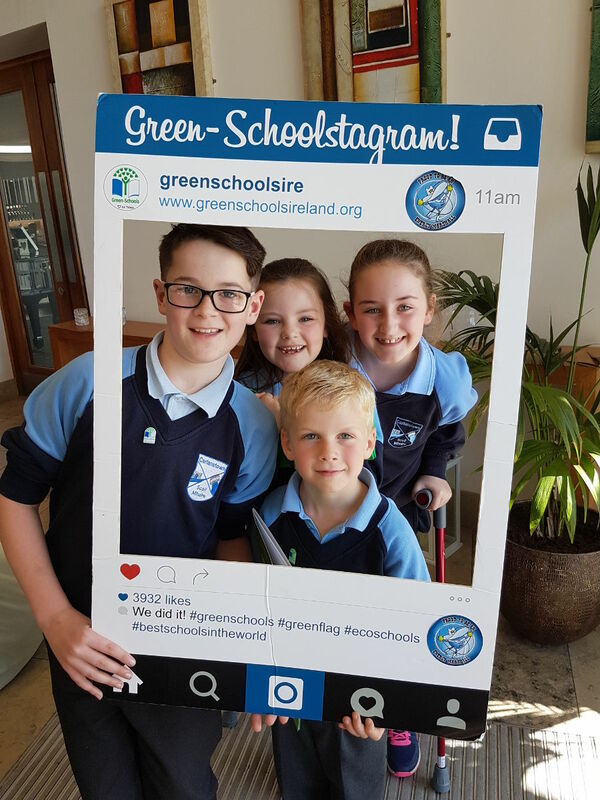 We are amazed at the success of all the other schools in our area too. 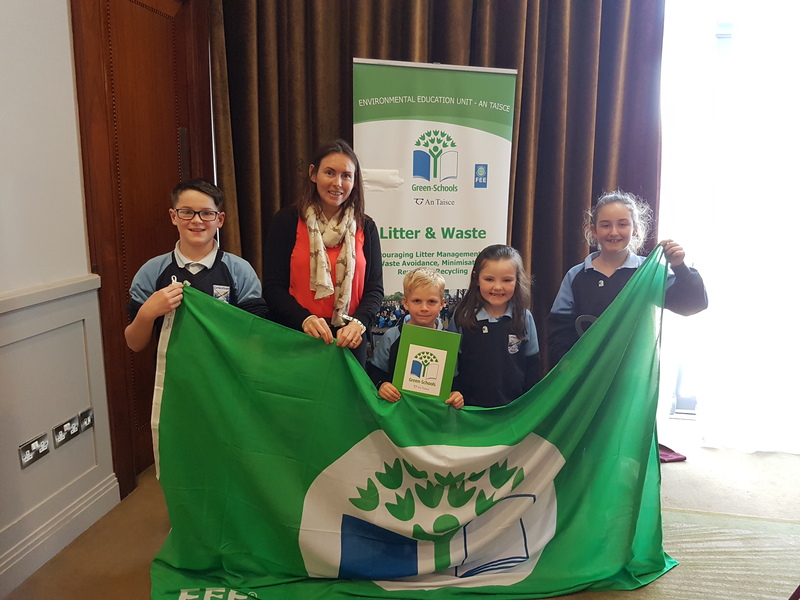 There was one school which received their eighth flag for their work on Global Citizenship and Water! 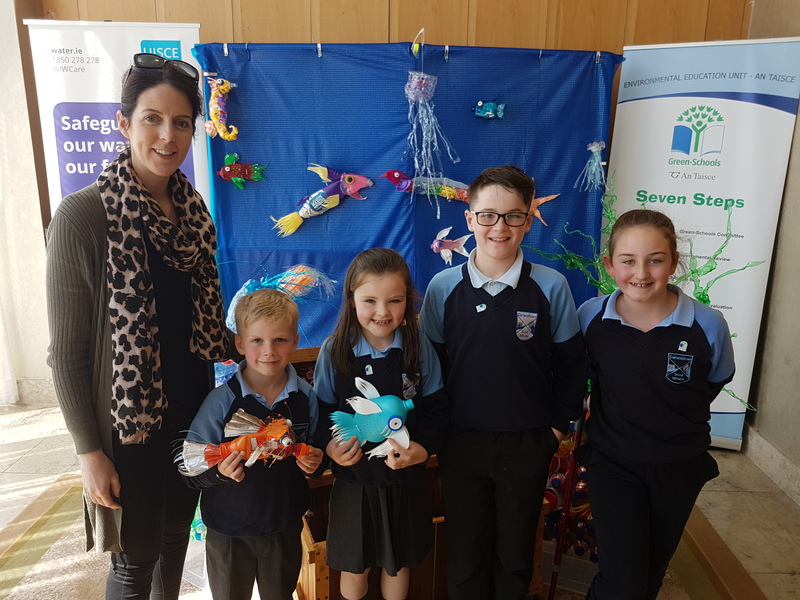 Bernadine Carry, our Green Schools Officer from Meath County Council gave us lots of information leaflets and tokens to share with everyone back in school! 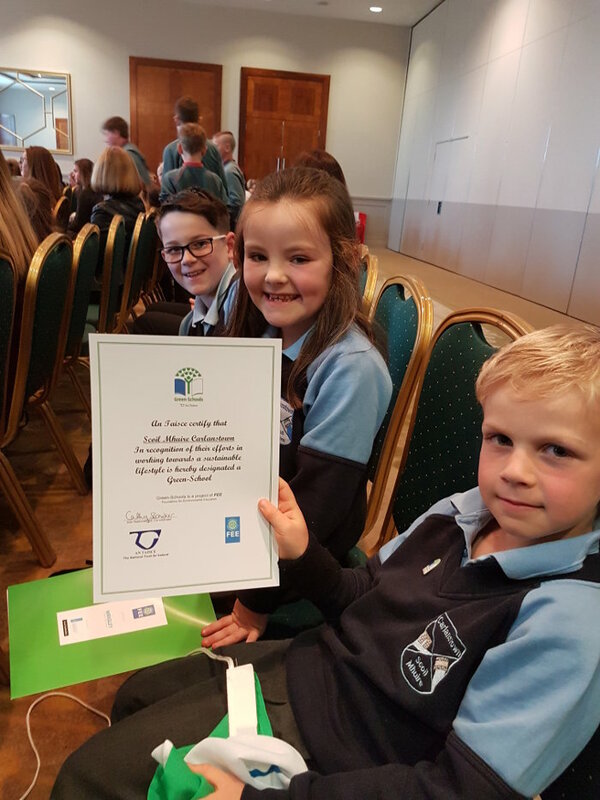 Before we left the ceremony we had to make a pledge to host a huge party back in school to celebrate our success! We are looking forward to planning our party in June!